In addition to compensation for long-term disability benefits, it is possible to also claim damages for mental distress from the insurance company, as well as punitive damages to punish the company for its conduct. However, to successfully claim these amounts, the relevant legal tests must be satisfied. The Ontario Court of Appeal recently rendered a decision which clarifies the test to be applied in determining punitive and mental distress damages. In Fernandes v Penncorp Life Insurance Company, 2014 ONCA 615, the plaintiff ran a successful brick laying business in Kitchener, Ontario, when he injured his back after two separate falls. After the second fall, he never worked as a brick layer again. Mr. Fernandes was, at the time of his injury, 40 years old with an equivalent of a grade 8 education. The trial judge awarded the plaintiff approximately $236,000 in compensation, and also awarded significant punitive and mental distress damages. Mr. Fernandes was awarded $200,000 in punitive damages because the insurance company had not “dealt with the claim fairly and in a balanced way”. He was also awarded $100,000 for mental distress damages for the failure of the insurance company to pay him what they had contracted to pay him. Notably, Mr. Fernandes had originally only sought $25,000 for these mental distress damages. Finally, Mr. Fernandes was awarded full legal costs amounting to about $212,000. The insurance company appealed the trial judge’s decision regarding the awards for punitive and mental distress damages, as well as full indemnity costs. The Ontario Court of Appeal allowed the appeal in part, reducing the legal costs awarded by $30,000 and reducing the mental distress damages awarded. However, the Court upheld the finding that punitive and mental distress damages were payable in respect of Mr. Fernandes’ treatment by the insurance company. Punitive damages are designed to address the objectives of retribution, deterrence and denunciation, not to compensate the plaintiff. They are awarded only where compensatory damages are insufficient to accomplish these objectives. The impugned conduct must depart markedly from ordinary standards of decency; it is conduct that is malicious, oppressive or high-handed and that offends the court’s sense of decency. In addition to the breach of contract, there must be an independent actionable wrong. In a case of breach of an insurance contract for failure to pay insurance benefits, a breach by the insurer of its contractual duty to act in good faith constitute an independent actionable wrong. Applying those principles, the Court of Appeal found that there was sufficient evidence to support the conclusion that punitive damages were appropriate in Mr. Fernandes’ case. 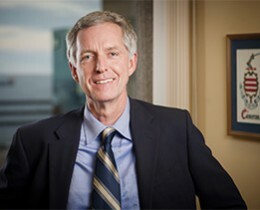 The Court noted that the Supreme Court of Canada in Fidler has held damages for mental distress for breach of contract may be awarded “where they are established on the evidence and shown to have been within the reasonable contemplation of the parties at the time the contract was made”. This however, does not obviate the need to prove the actual loss. Here, both parties agreed that an objective of the insurance policy was to secure a psychological benefit and that at the time, the parties reasonably contemplated that the failure to pay benefits could cause the respondent mental distress. However, the insurance company contested the amount awarded. The Court noted that there was no good explanation how the trial judge had arrived at the figure of $100,000, or what facts justified such an amount. It noted further that the award appeared inordinately high and entirely disproportionate, as compared to other awards and noted that the award was four (4) times greater than that requested by Mr. Fernandes. It finally noted that mental distress damages are to be compensatory and not punitive and reduced the award from $100,000 to $25,000. In order to successfully bring a claim for punitive damages or mental distress damages in the context of an LTD claim, it is important to advance the facts upon which those claims can be supported. The trial judge must have a factual basis to grant the amounts sought, and which will satisfy the tests as articulated in the Ontario Court of Appeal’s judgment. When initiating a proceeding regarding a denial of long-term disability benefits, you should discuss the possibility of seeking punitive or mental distress damages with a disability benefits lawyer.